Sometimes, you become a regular visitor to a festival and then sometimes, the universe conspires to send you elsewhere. 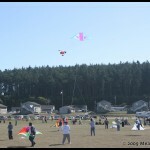 Such has been the case for the Whidbey Island Kite Festival. 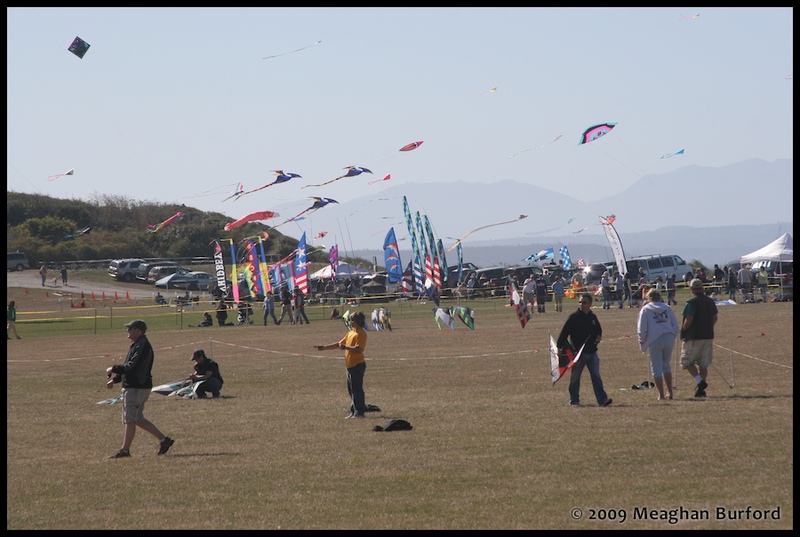 It was the first kite festival I ever attended, back in 1997 and over the years, it’s one I have gone to quite regularly. 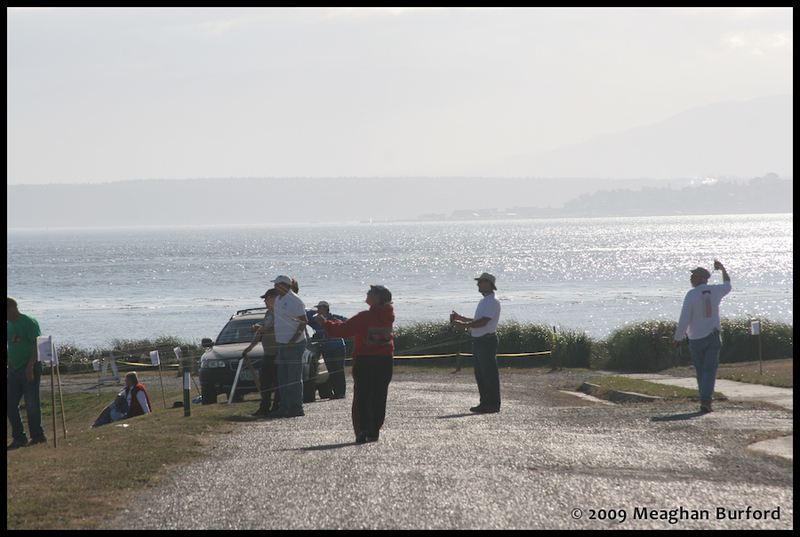 It’s close, being a mere 1.5 hours from Vancouver (and close for nearly anyone else in the NWSKL as well) and it’s a really pretty setting, being just off the water at Fort Casey, an old military installation that was considered crucial for the protection of Puget Sound. 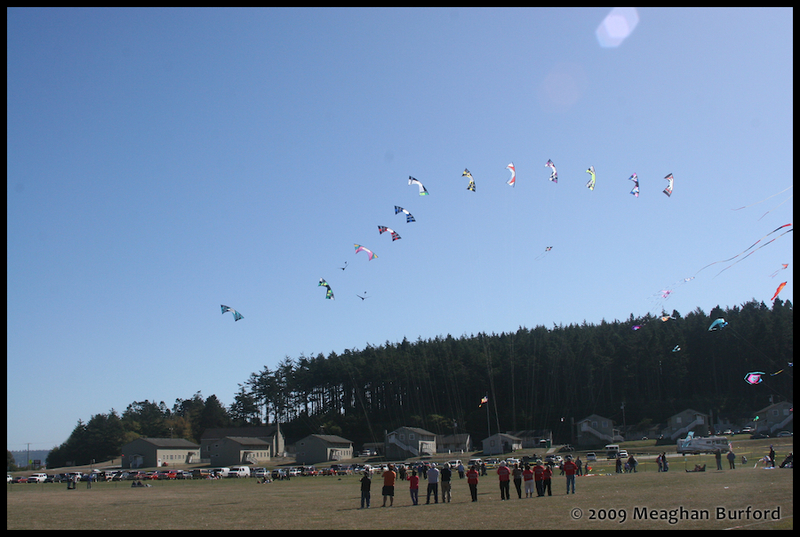 (It’s worth noting that Whidbey Island is also home to quite a large group of very talented kite flyers these days) But, the last two years have found me on the other end of the country at the (temporarily on hold, I’m optimistic!) 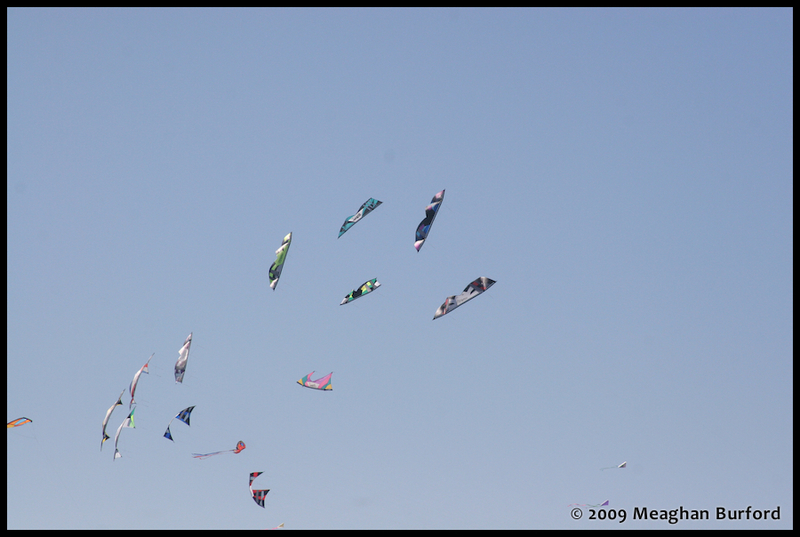 Niagara International Kite Festival. 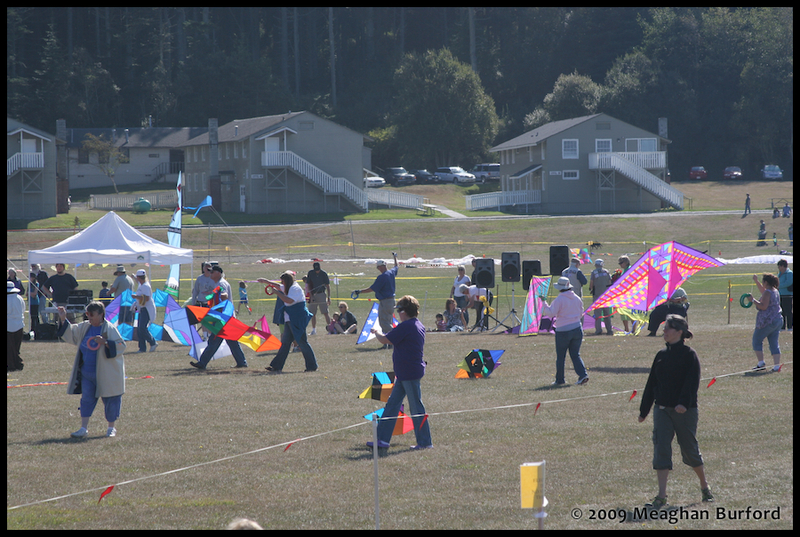 So, as September rolled around, I decided it was time to pack up the kites and head down the road for a visit to the festival once again. Alas, I found no plausible excuse to leave work early, so I was relegated to splitting after work and that meant rolling onto the field at about 6:30 on Friday. 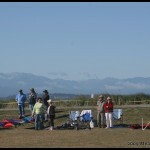 While there were a few people still hanging out, the Friday setup and fly crowd has mostly departed. Judging by what I heard later that evening at a great BBQ hosted by Islander Brad Bixby though, it was a fine sunny day with respectable amounts of wind. What, wait? Wind? 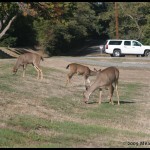 On Whidbey Island? What had happened while I was away? 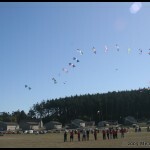 This was a kite festival where the common phrase of the weekend was frequently “wind check please!”. 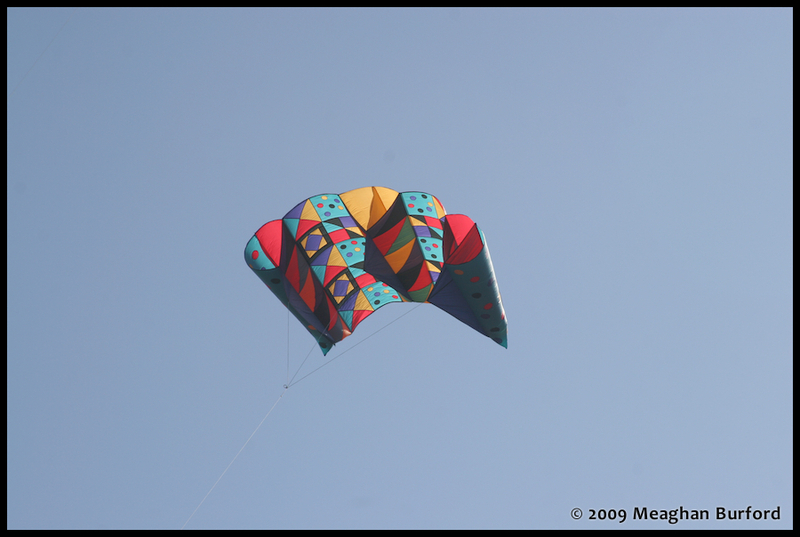 In my previous experience, one either had a light breeze, ie, under 5 mph, at the best of times, and hours could go by with barely enough of a breeze to stir a feather. So, it was with some amount of trepidation that I woke up on Saturday morning but, at least it was beautifully sunny out, that’s certainly a plus and a great way to start the day. Off we went own to the field and lo and behold, there was a breeze! 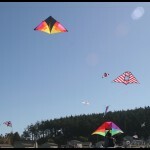 In fact enough of one that my mid-vent was actually the first kite I got out of my bag. 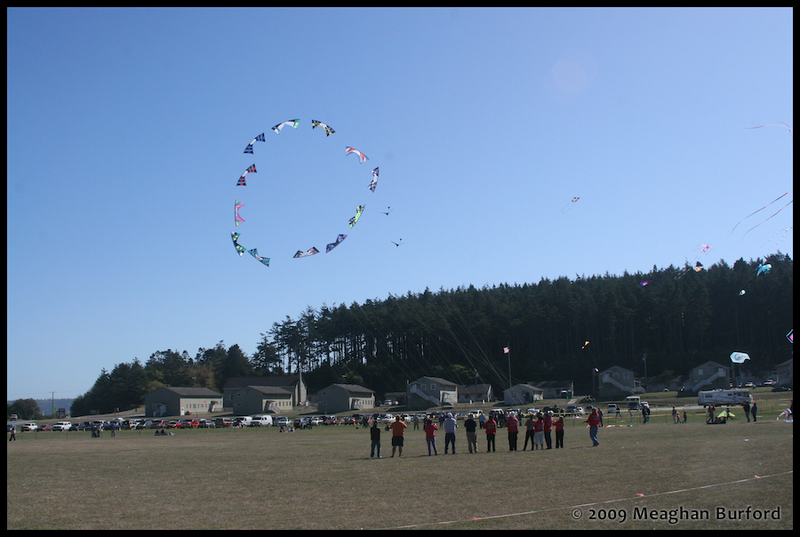 Actually, that’s not entirely true, I got a bunch of old kites out of my bag first. 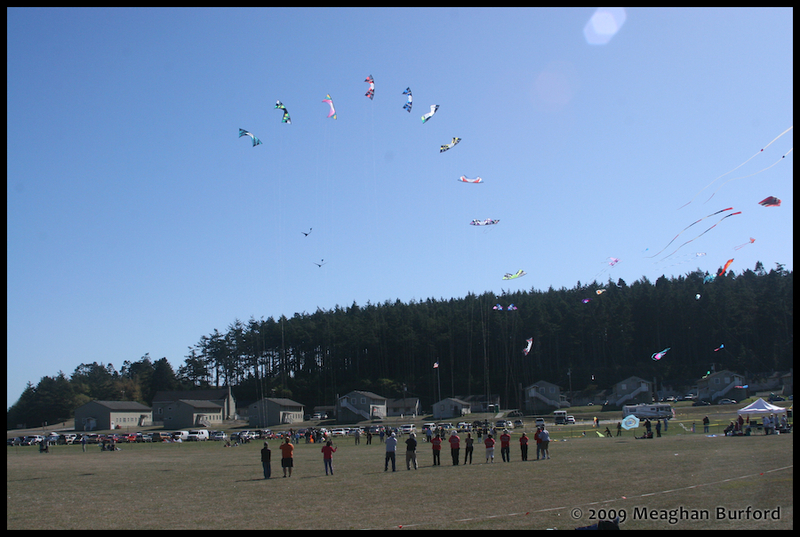 You see, the Whidbey festival has a feature I’ve not seen at a kite festival anywhere else, a kite based swap meet! 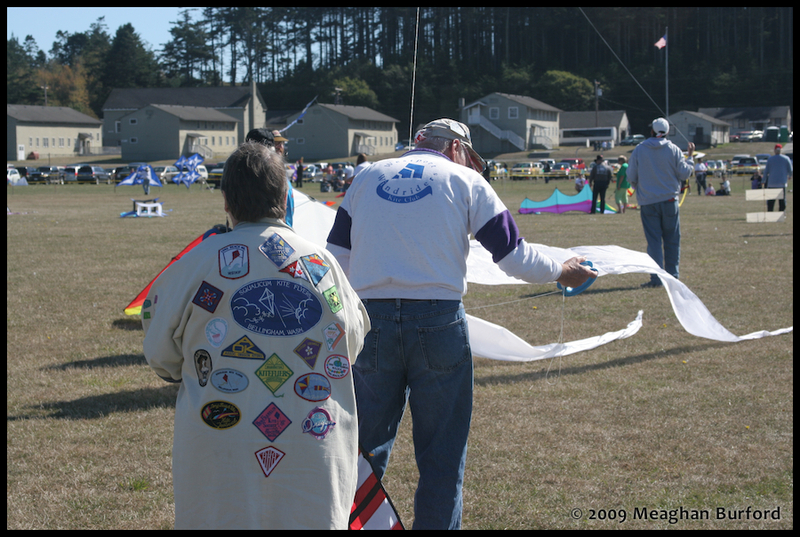 Clean out your bags, your closets, dust those old kites off and be prepared to put them up for sale! Of course, you’d be well advised to bring your wallet as well because theres always a good array of ites that are available for sale, from SLKs, to duals, to quads, some of which have seen heavy use, some of which have barely been out of the bag, for reasons unknown. 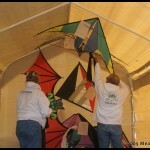 This year was much the same, there was roughly 30-45 kites in the tent at its peak. 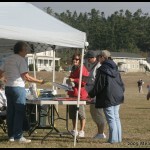 I personally managed to sell one off before I’d even gotten to the tent, so that was a plus! 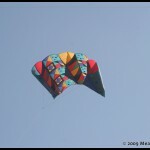 Once I’d taken care of that detail, it was off to get some flying in. On a whim, after a week of “nah, I don’t feel like competing”, I decided I’d take a run at the competition field anyways. 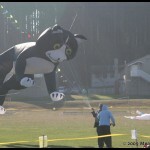 This meant getting kites out and warming up a bit. Nicely though, since it was a slightly warmer day than usual for this time of the year in this neck of the woods, I was soon down to a t-shirt and jeans! 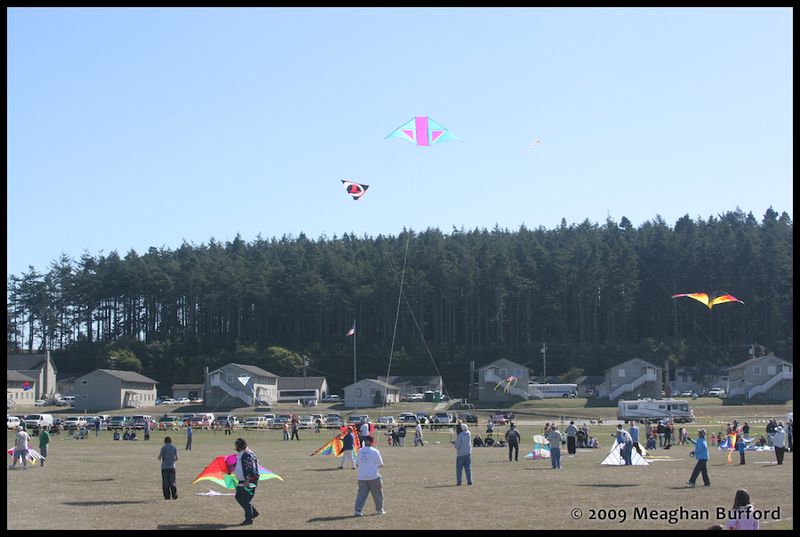 The actual field area at Fort Casey is quite large, which allows for a nice split between the huge amount of single line kites that inhabit the south half of the field. 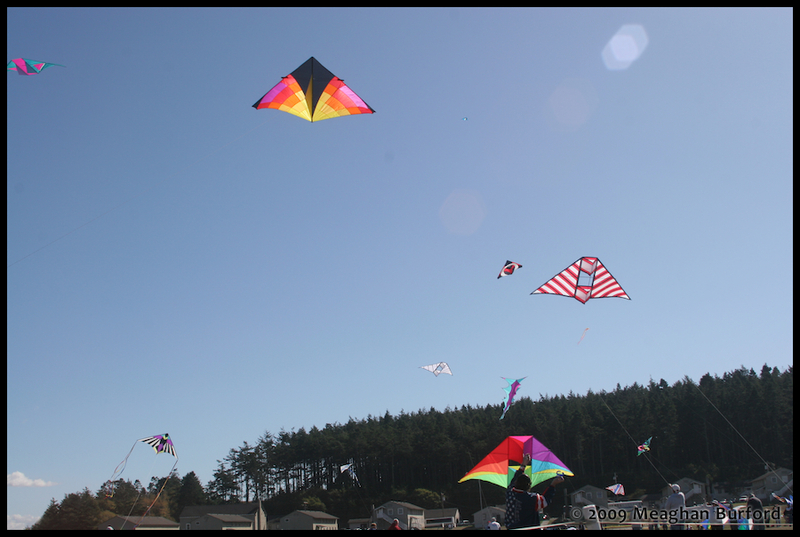 Keep in mind that Fort Worden is a mere ferry ride away from Whidbey, so you get to see a vast array of kites that have been made there over the years, from delicate, tiny kites to huge flowforms. 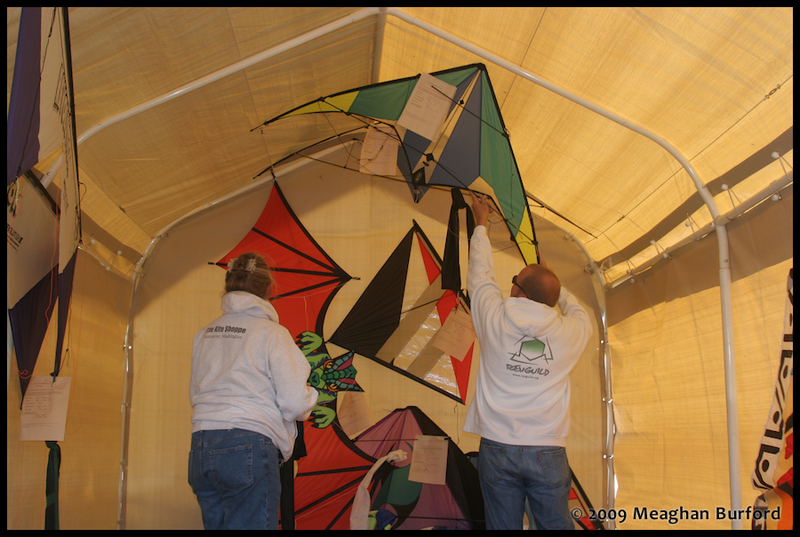 On any given afternoon, you can probably spy one or more of any kite design that’s been done in a workshop and many original designs surface as well. 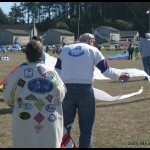 The “maker” part of the kite world is always well represented at this festival. 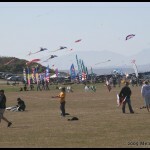 The north half of the field is manned by the Northwest Sport Kite League, where the last outdoor event of the year takes place. While the NWSKL has certainly seen the same decline in competitors as any other league has over the last couple of years, this festival tends to get good attendance. 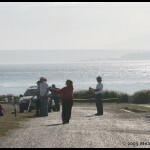 Especially from the Canadian contingent, who come down in droves, complete with their own cheering section! All the announcer has to do is simply say “Canada” and the hoots, hollers and cowbells will answer back, every time. 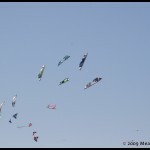 With the Steveston Sport Kite Festival on hiatus, this is closest festival for Canuck competitors. So, all told, we ended up with roughly 20 competitors, which while it’s down from previous years, it’s certainly a bit up from other competitions that were held this year. As one would expect lately, the multiline classes were the largest, with an unheard 6 people in the Masters class and a few more in Experienced (to be fair, the Masters dual line class did have 7 people in Ballet, but that’s the closest these two classes have ever come in size that I can remember….). 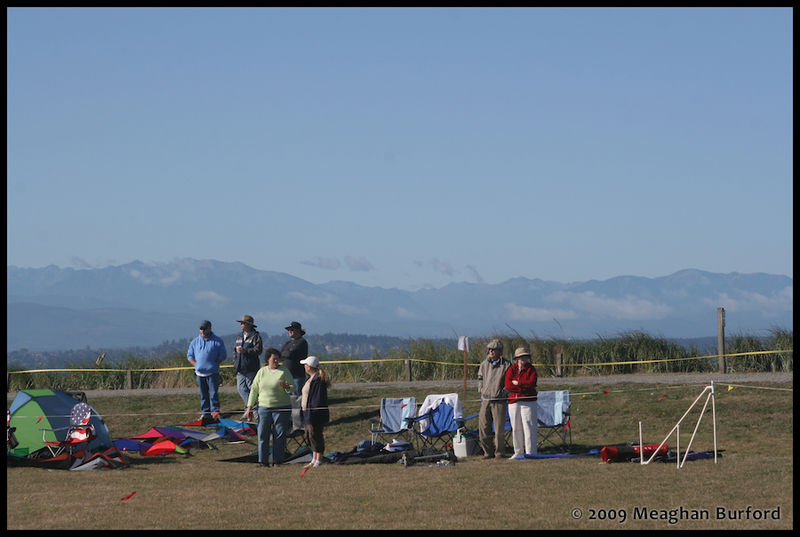 Just to add to the quad fever, Island Quad made the trip down from Vancouver Island to give a few demos in quiet spots between competitions and other main field attractions. 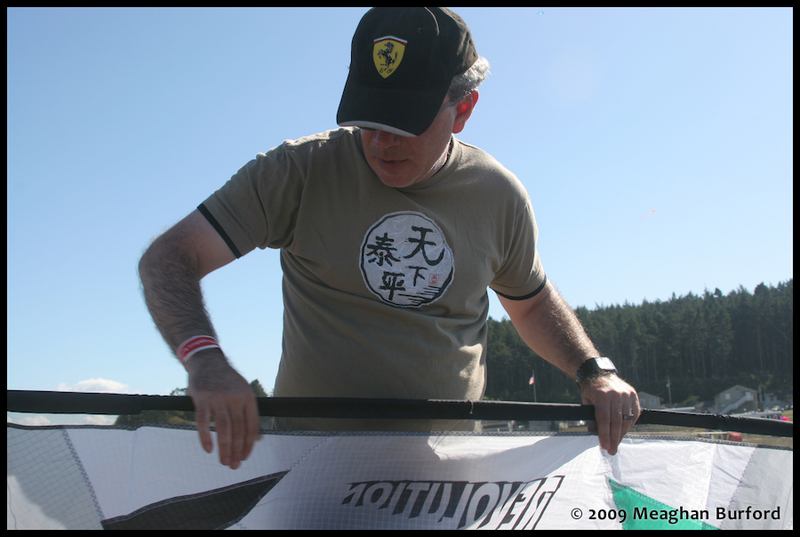 While I’d gotten a mid-vent out first on Saturday morning, I was wise and setup a standard as well because, well, I have been here before, I know how it can change and sure enough, as the morning ambled along, the wind began to drop slowly. 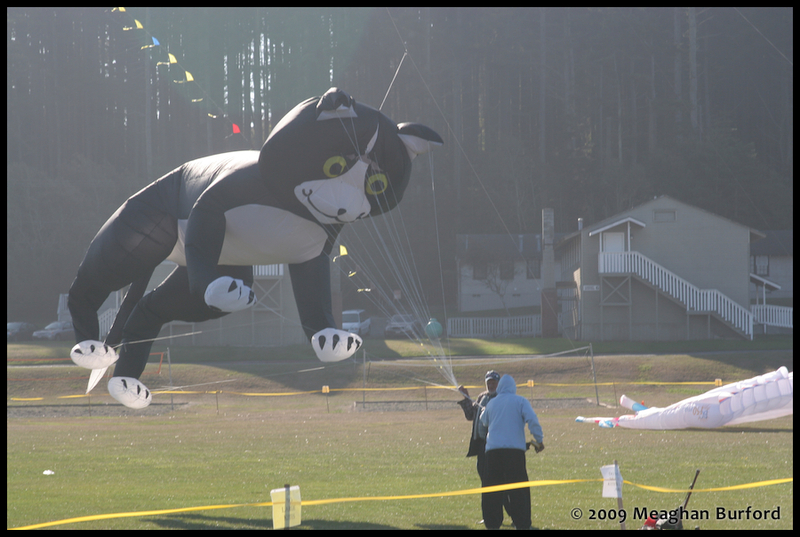 And, as Murphy is a frequent visitor to kite festivals, the lowest point of the day’s wind came along just as the Mass Ascension and Teddy Bear drop were getting underway. 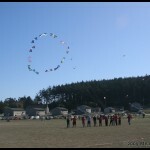 The teddy bear drop became a teddy bear throw, but, I don’t think I saw any kids who were disappointed by this! 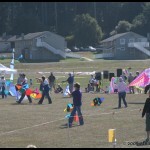 Thankfully the small sled kites made by kids in the kite making tent DID continue to fly in the lightening breeze. 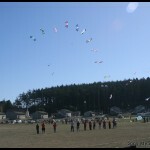 But, as competition began again later in the afternoon the wind crept back up a bit and off we went. 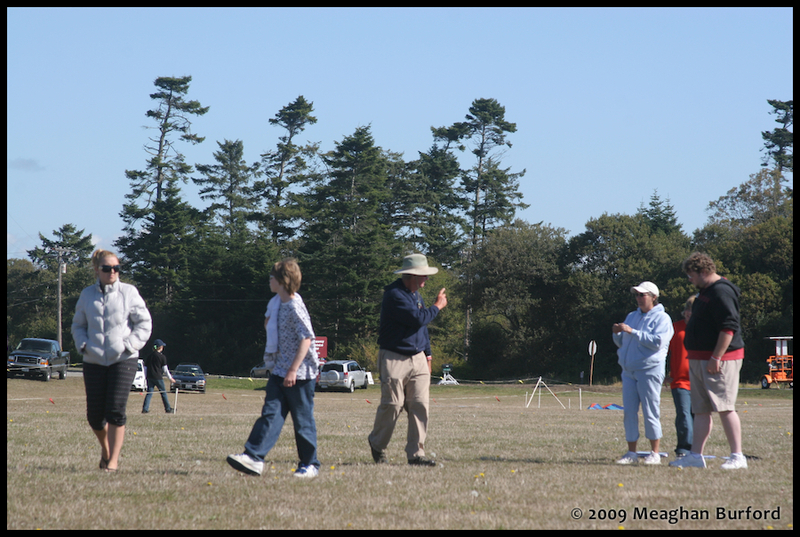 And, not once this weekend did I hear a wind check called, (I have been corrected, a certain Andrew Cimburek DID call one on the Sunday in MIB) which I know is a first for me in all my visits to the comp field here. Saturday night begins with a nicely handled banquet followed by an indoor competition just across the street in the newly fixed up high school. The indoor started with a handful of demos by various competitors (it’s always a good chance to warm up, especially for me who has lost the indoor flying space we used to use in Vancouver!) 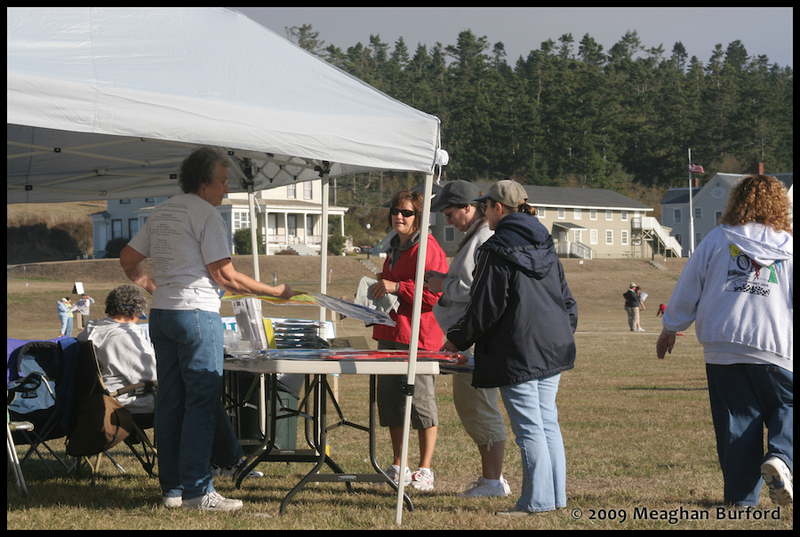 and then onto the competition we went, with 9 people signed up to take a run at winning some Whidbey Wood. Once it was all said and done, two regular heavyweights indoors took first and second (Jerry Cannon and Tristan Underwood) and I managed to somehow walk off with third, easily my highest placing ever indoors. 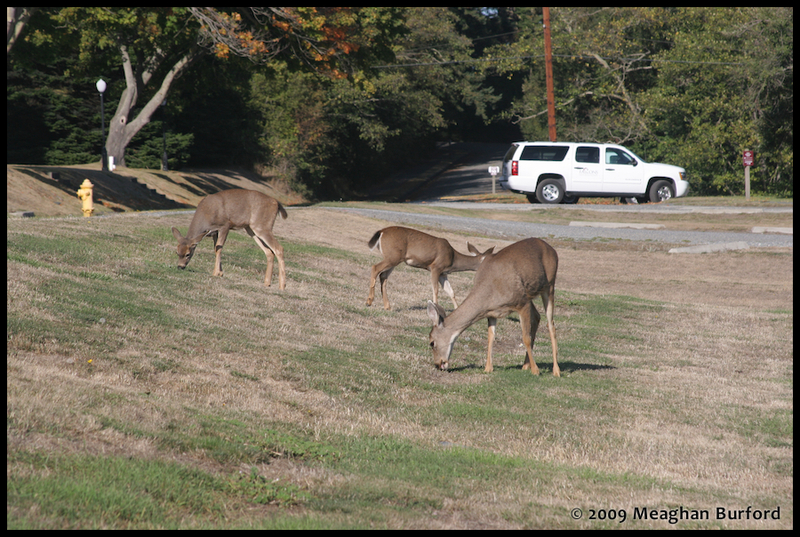 It was such a surprise that my head was buried in my knapsack, packing up my camera and flash with an eye to heading back to where I was staying. YAY! All in all, one of the most fun Whidbeys Ive gone to! We managed to stay for most of the bag raffle handout afterwards but, once the main ones we’d put tickets in on had gone by, it became time to head on home, which, was a blissfully short drive for a change! 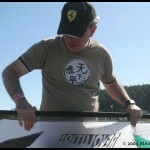 I’m hoping I’ll get the chance to go back again next year! 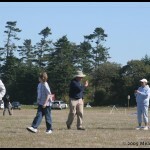 This entry was posted in 2009, Issue 68 (Sep/Oct), KL Archive and tagged festival, whidbey island.